¡Bienvenidos al Centro de Español! We offer high quality and effective, non-credit bearing Spanish language instruction through dynamic teaching methods that are centered around faculty, staff and students, and their individual language goals and needs, providing an intimate class size and a laid back and meaningful atmosphere. We provide our participants with immersion-like experiences and settings so that they are exposed to authentic Latinx/Hispanic cultural experiences. We support the local community by coordinating volunteer work in projects that have a positive impact related to Spanish language learning and understanding of Hispanic culture. We serve as one of the support systems for Latinx/Hispanic U.S. born/raised and international students, faculty and staff. Let us know if you have any questions and thanks for checking out our site! In 1998, Elon University created El Centro de Español as a co-curricular, non-credit bearing learning program. The focus is on “using” Spanish and participants in El Centro learn through immersion-like experiences through verbal interaction with native speakers, one-on-one and small group discussions, use of resource materials for solo study, music, movies, etc. El Centro has had far-reaching impact in that it provides a personalized and non-curricular approach to learning that is especially appropriate in a residential college in an age of increasing virtual education. In 2014, El Centro de Español merged with the Multicultural Center (formerly now known as The CREDE, Center for Race, Ethnicity and Diversity Education) to further organize university efforts for underrepresented racial and ethnic communities. 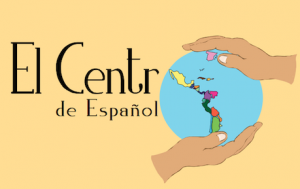 In February 2017, El Centro extended its hours from 5:00pm-9:00pm “El Centro After 5”, Monday to Thursday, to serve as a Resource Center for Elon’s Latinx/Hispanic Community. The CREDE and El Centro advance the conversation on student diversity education campus-wide to develop intercultural competence, and provide race and ethnicity related advocacy, services and programs to promote the intellectual achievement, personal success and social belonging of all students, faculty, and staff, particularly those from underrepresented and historically marginalized communities.